Mammut Bionic Mytholito Carabiner. The new Bionic Mytholito is a small and very lightweight carabiner that is produced using hot forging and beam technology. 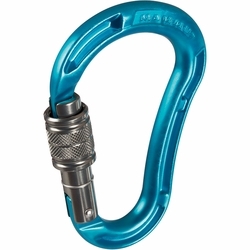 Despite its reduced size this locking carabiner can be used perfectly with any popular belay device or knot.